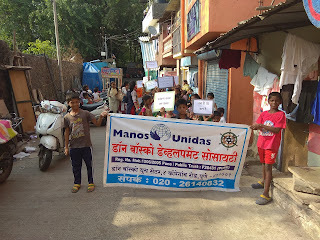 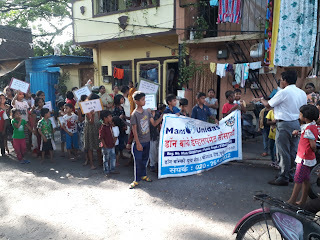 23-May-2018, Pune: The Don Bosco Development Society (DBDS), Pune organized a Rally on the topic of ‘conserving water’ in Ghadgebaba slums in Koregaon Park, Pune. 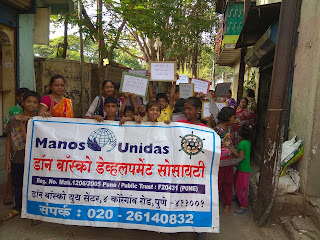 This rally was held under the aegis of ‘Women Empowerment Project’ supported by Manos Unidas, Spain. 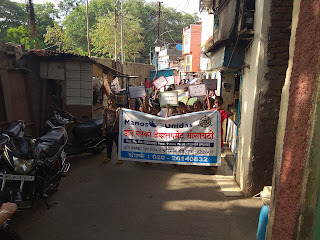 The students of support classes, teachers, staff and community people participated the rally. 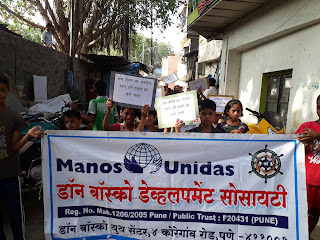 The Rally started at 4.00 pm and ended at 5.30 pm. 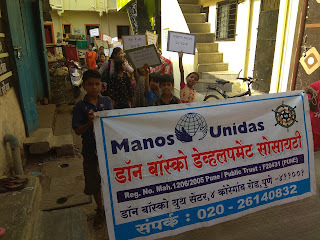 In the rally the staff delivered awareness lecture on the importance of water and the necessity to save water. 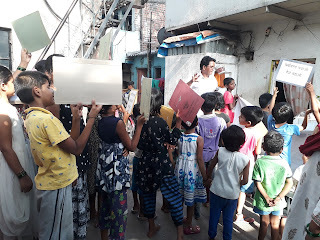 The students generated awareness among the people on the problem of water scarcity with the help of slogans and placards. 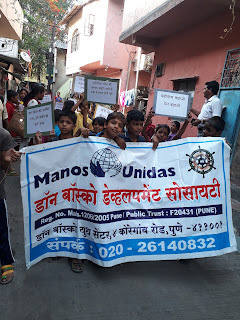 73 girls, boys and residents participated in the rally and marched along the streets of Koregaon Park, Pune.